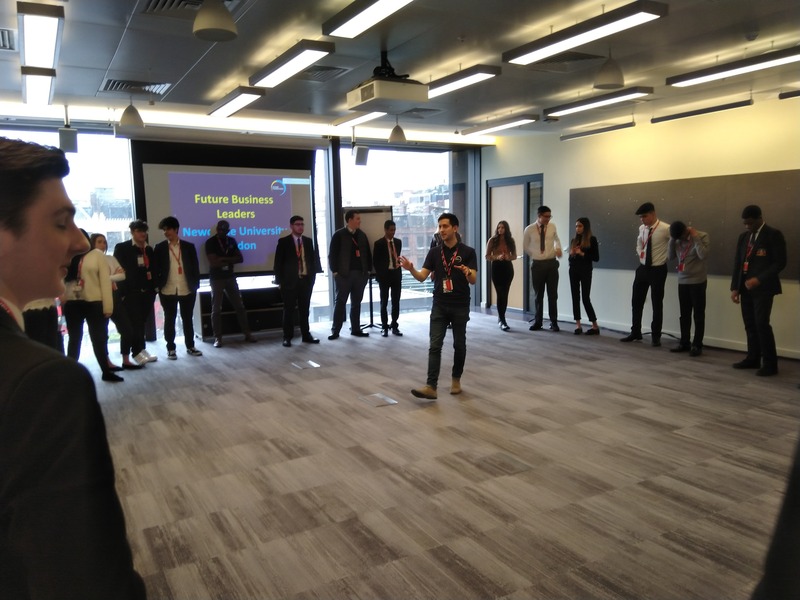 On the 27th March, Future Foundation reconvened with Newcastle University London’s Future Business Leaders to introduce them to the world of Entrepreneurship. Hosted at the Amazon Web Services Headquarters, the 41 budding leaders were challenged to develop key entrepreneurial skills. The programme was course directed by Andy with operations support from Maya. Our Future Foundations coaches were Lina, Owen, Michael and Nadia. 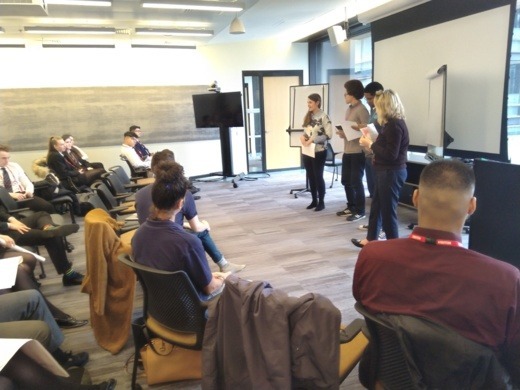 The Future Foundations coaches delivered a two- part programme that challenged participants to develop and pitch an entrepreneurial idea with a £1000 budget. The day was launched with a plenary delivered by Course Director Andy Dunn, which introduced the concept of entrepreneurship as a means to solve a problem. During the plenary, participants were introduced to the business model canvas, a tried and tested tool to help entrepreneurs plan all angles of a business. Drawing upon examples from different sectors, including food waste (Wonky Box) and transport (Uber), the participants were guided through the different sections from target audience, to marketing channels, as well as expected costs and revenues. Students were then divided up into groups to work together to develop a business plan for an innovative idea. With a budget of £1000, the students needed to show creativity, resilience and teamwork. Each team developed their concept, using a business model canvas template to build up their idea. After the break the teams had 20 minutes to prepare a pitch before facing a panel of Dragons, including a representative from Amazon, an entrepreneurial teacher, and a member of the FF. 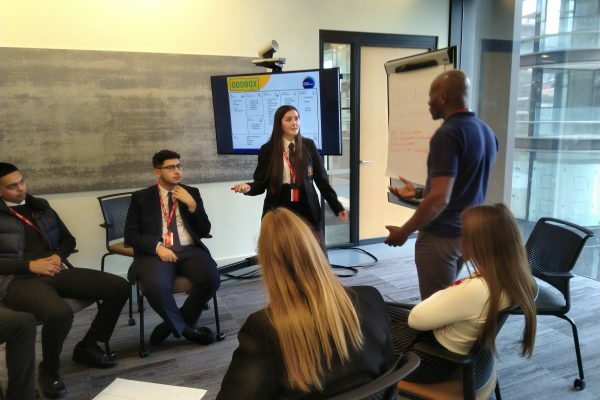 The programme was facilitated by an experienced team of positive, dynamic staff inspired that supported the students to push outside their comfort zone, work with new people, and create innovative solutions to a challenging problem. The structure of both days was fantastic, students were actively engaged throughout and were taken out of their comfort zone in having to work with people they didn't know but it was all done in a hugely supportive atmosphere. Great entrepreneurial thinking can happen so fast and it’s amazing to see what is possible in such a short space of time! The students were incredible! 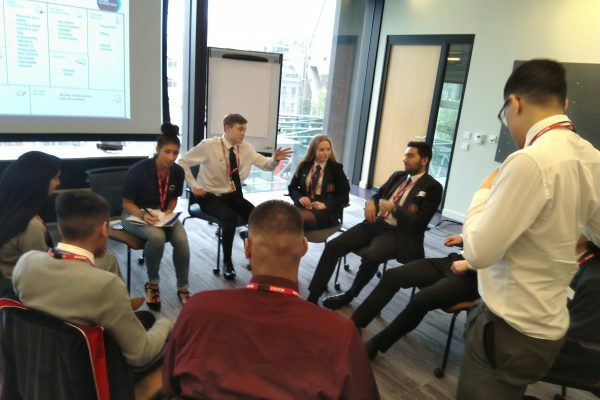 This was the second workshop delivered by Future Foundations for the Business Leaders and a fantastic opportunity to work with a diverse range of engaged students. The students showed great creativity in their enterprise suggestions, picking up an entrepreneurial mindset in record time. In the closing plenary, they were invited to reflect on what being an entrepreneur meant to them, what problems they hoped to address, and what they are able to start doing now. We wish the Future Business Leaders good luck as they continue to explore their future lives in business.